As of this morning I have all the in-house conversion kits barreled, head spaced, and tested. We are waiting on our bulk order of Allen keys to come in for the booster orifice plugs, they are supposed to be here by the 1st week of October. The kits we have tested still need the barrel extensions staked, that will be done today and tomorrow. It is looking like next week we will be doing the refinish work on the boosters, barrels, and feed trays. That will be the last step in the production of the kits and will be waiting on the Allen keys to be “complete” and ready to ship. So, in a nut shell: All top covers have been modified. All feed trays have been modified. All boosters have been finished. 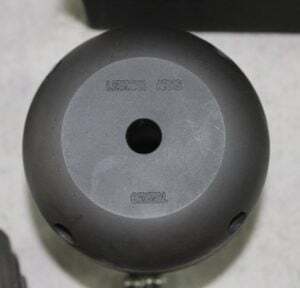 All barrels have barrel extensions installed and head spaced. All kits have been tested individually. All kits need refinished. All kits need their Allen key. We appreciate everyone’s patience through this process. 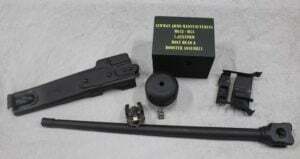 First run of MG42/M53 7.62×39 Conversion kits, get on the wait list NOW! Email Jessica@Lewmanarmsmanufacturing.com to be added to the list. Customer supplies their 8mm top cover, feed tray, and as many barrel extensions as you want barrels. Barrel extensions must be ready to use, I.E. old stub removed. Modify your parts, supply a new bolt head and booster, supply barrels and headspace to the new bolt head. 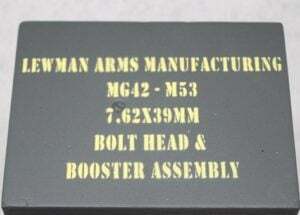 You get back a kit that will run 7.62×39 in ANY MG42/M53. Kits are $950 with one barrel. Additional barrels are $300 each. On these kits, barrels are the longest items for us to get. We will be ordering based on the number of barrels reserved. Once I have a barrel count for these I can get the lead time on the first batch. 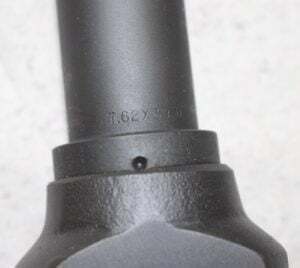 The barrels are chrome lined, parkerized, and marked 7.62×39. We have determined that the Poly does not work in the kit and they run MUCH better with lacquer coated ammo. These kits will come with a full detailed set of instructions on use. Our booster system has adjustable gas settings to tune the kit to any individual gun and to tune cyclic rate on full auto guns. Everything is going to be clearly marked for use ONLY with 7.62×39 ammo. Using ANY of the modified components CAN and WILL cause harm to yourself or your gun.